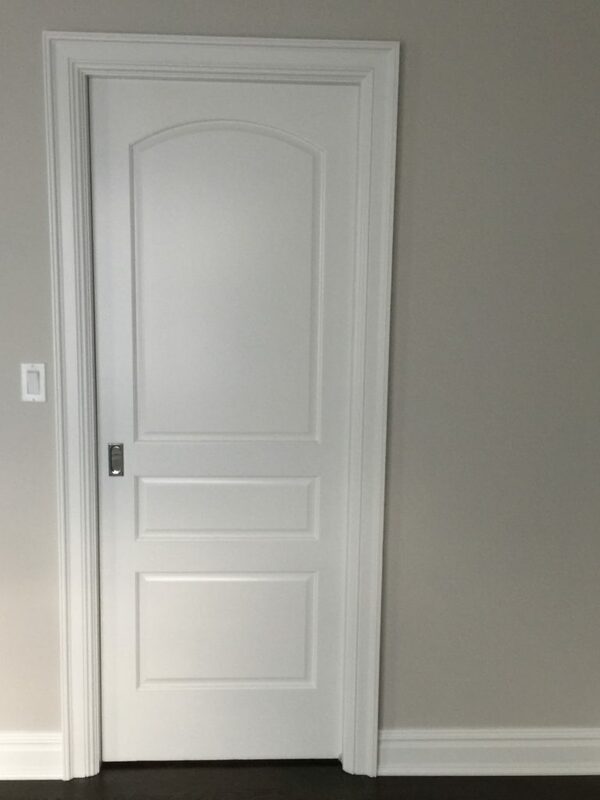 We were recently tasked with installing some pocket door hardware as part of a whole home remodel in Norwalk, Fairfield County. 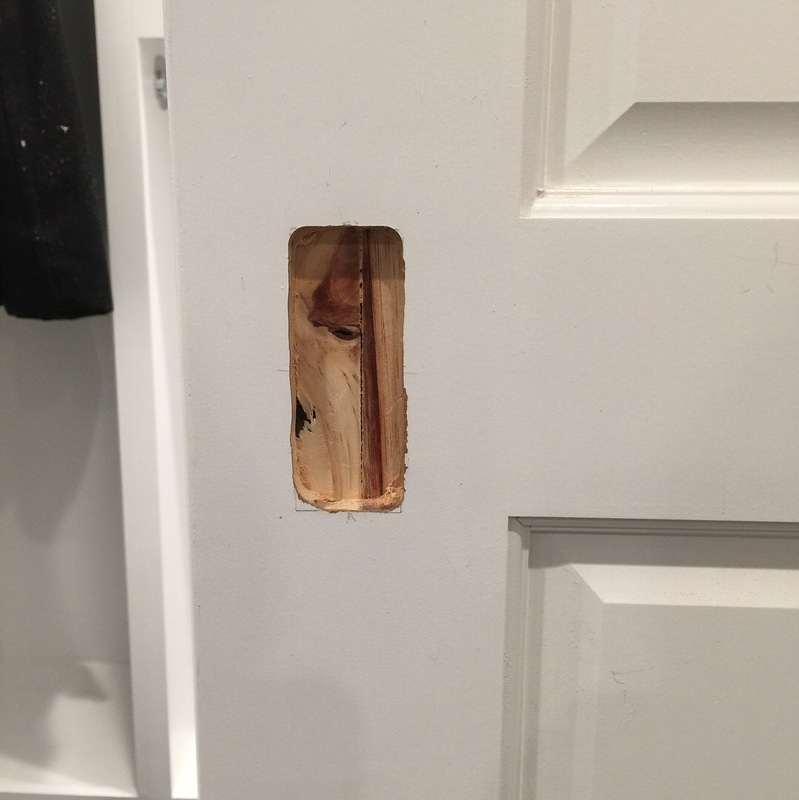 The job required us to mortise out the doors on the edge and the face in order to accept pulls to assist in opening and closing the door. The doors were already painted, so we needed to be especially careful not to chip the paint or damage the finish. Also, one slip and the whole door would be ruined, requiring the removal of all the casing and trim around the door. In other words, we only had one chance to get this, and it had to be perfect. A little bit of careful preparation and planning make this difficult task safe and simple, ensuring that this home renovation goes smoothly. Do You Have A Home Remodel Requiring Pocket Door Installation? We hope this information has helped guide you in the process of installing your pocket door hardware. Whether it be a stand-alone project, or part of a larger interior home remodel or renovation, Craftsman Contracting is here to help you with your pocket door installation. We’ll treat your project as if it were our very own, ensuring the highest level of quality in everything we do. Whether you’d like to repair an existing pocket door, or install a new door. We at Craftsman Contracting pride ourselves on the attention to detail and quality of our workmanship that we invest into each and every carpentry project we work on. A home remodeling project relies on careful planning, excellent communication between client and contractor, precision & accuracy, and the contractors ability to understand and execute the plan without excuses. At Craftsman Contracting, we believe that is exactly what we have to offer. If you’d like to schedule a consultation to discuss your carpentry or remodeling project then give us a call (203) 642-3343 or fill out our contact form and we’ll get right back to you.